Our inaugural sparkling has a fine and persistent mousse thanks to the traditional method secondary fermentation in the bottle. On the nose the wine is subtle with elements of green apples and crushed rocks. Clean, crisp, and fresh palate with mineral notes wrapped in flavours of orchard apples and pears, finishing with a rich and creamy texture from the extended bottle age. The wine is dry from start to finish making it the perfect aperitif wine. "This is 70% Chardonnay, 30% Pinot Noir. The wine has had a total of four years aging in tank and bottle before its release. It has the slight bready note of classic Champagne. 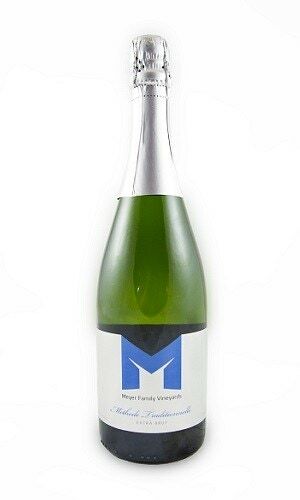 It also has brightly focussed fruit showing notes of lemon and granny smith apple. It is clean and fresh on the palate with crisp finish. The bubbles are fine and persistent."